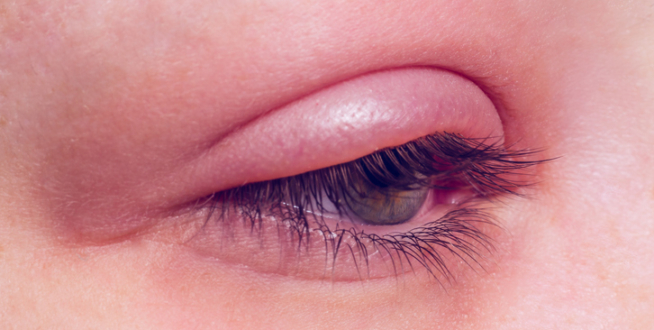 Blepharitis is a common, long-term, chronic condition characterised by inflammation around the edges of the eyelids. The eye condition is one of the most common eye disorders in the UK, affecting people of all ages. Another form of the condition is called Anterior blepharitis. This is caused by the accumulation of skin flakes and oil along the lid margin in which bacteria begin to flourish. These bacteria in turn release irritants into the tears leading to dry eye and inflammation. Anterior blepharitis can be associated with common skin conditions such as rosacea and demodicosis. Blepharitis affects people of all ages. Blepharitis is a chronic condition, meaning that the symptoms below can recur over time. 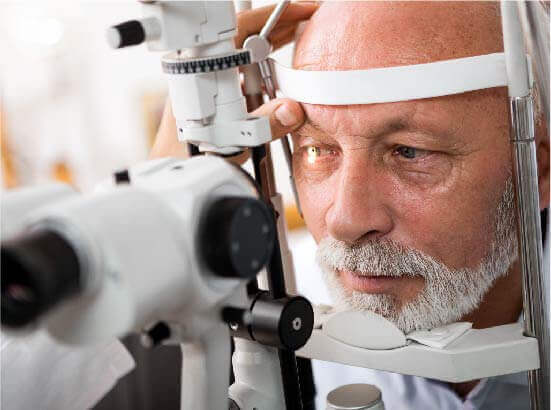 So, while the inflammation is not sight threatening, it is important to follow your doctor’s instructions on treatment to avoid discomfort when any of the symptoms return. Blepharitis can be classified into anterior or posterior blepharitis. Whilst there are many causes at play, the most common cause is a subset of posterior blepharitis, know as meibomian gland dysfunction. There are 50-60 meibomian glands situated within the eyelids. These glands are responsible for producing lipids (oils) that float on the film of tears on the surface of eyes and stop them evaporating too fast. When there are insufficient oils the tears evaporate too fast (evaporative dry eye) leading to concentrated tears and inflammation on the surface of the eye. Treatment for blepharitis will depend on the severity of your symptoms. 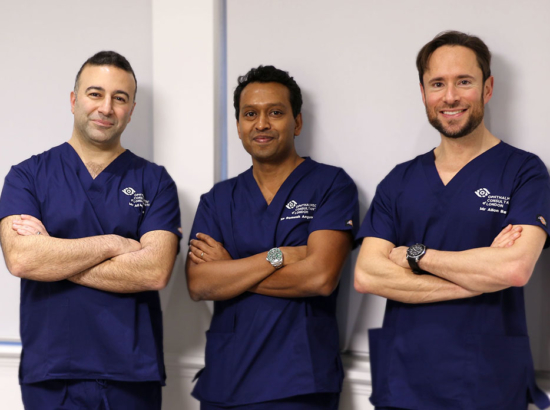 Unfortunately, there is no cure for this chronic eye condition, but by following good eyelid hygiene practices, the treatment can be effective after 4-6 weeks. This process works by unblocking the oil glands that contribute to inflammation, treating blepharitis through daily warming and cleaning of the affected area. It will take weeks to start seeing results, so it is important to persevere with a daily eyelid hygiene routine. First, hold a clean flannel soaked in comfortably hot water against the (closed) eyelids for 5 minutes. This melts oils in the blocked glands and softens the skin and any crusts attached to the eyelids. If the flannel cools, keep rewarming in hot water. To make this easier, you can buy microwavable hot-compresses for this purpose. Massage the eyelids by gently and carefully rolling your first finger across the eyelids from the nose to the temple. Do this on both the upper and then lower eyelids. This helps to push out the melted oils from the tiny eyelid glands. Be careful not to touch the inside of the eyelid when doing this. Clean away any crusts that are present, particularly around the roots of the lashes, using fresh cotton buds. If you like, you can use a cleaning foam and eyelid wipes. Don’t forget to carry out this routine once a day without fail. Do NOT clean inside the eyelids or rub your eyelids, as this could make the inflammation worse. It may also be a good idea to stop wearing makeup when your eyelids are inflamed as this can make it more difficult to practice good eyelid hygiene and keeps your eyelids clear of debris. Your doctor may prescribe antibiotic ointment to help treat blepharitis. After cleaning your lashes as above, apply some antibiotic ointment to the tip of a fresh cotton bud or a clean finger and rub it into the roots of your eyelashes, top and bottom, just before bedtime. Perform this nightly for 2 weeks, then twice a week for 10 weeks. Occasionally, blepharitis is treated with a course of steroid eye drops. Omega oils can treat the symptoms of blepharitis by improving the quality of oil from the glands, which will help to prevent tear evaporation. These supplements are available over the counter without a prescription. Simply take one capsule with breakfast and one more with your evening meal. Some forms of blepharitis require a course of oral antibiotic tablets, usually for several months. Your doctor will explain how to take them. You will probably be advised to take one Doxycycline 100mg tablet twice a day for the first 2 weeks and once a day thereafter. These should be taken with food. After three months, the dosage may be reduced to one tablet every two days. Sometimes the condition can cause dry eyes, which can be treated with artificial tears.